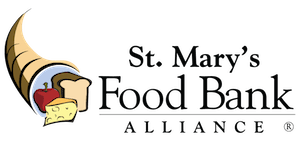 St. Mary's Food Bank Alliance is currently seeking a Production Coordinator/Forklift Driver at our Phoenix Location. Production Coordinator/Forklift Driver is responsible for assisting/overseeing and working directly with our volunteers who are creating various types of food boxes in support of the food bank’s mission. They give directions to volunteers on how to properly assemble and arrange the various food boxes and components. The position requires also a great amount of attention to detail, computer skills, strong communication skills, and involves assigning tasks to large groups of people and then overseeing the task execution. A large part of the job will be supporting the operations department with putting away, order filling, and transferring product. Trained on warehouse equipment such as stand up and sit down forklifts, electric pallet/rider jacks, etc. Providing training and direction to staff, volunteers and community service workers. Reconcile inventory in our ERP (CERES) by removing box components and creating new finished boxes in our system. Execute inventory movements, put a ways, and item journals both to our physical inventory and the digital inventory in our database. Coordinating with the Volunteer Engagement department to ensure enough projects are setup for volunteer groups. Providing and supervising a controlled and safe environment for volunteers and staff. Overseeing the production process ensuring assigned tasks are completed correctly. Conducting daily audits throughout the production process to verify accuracy and quality. Identifying poor quality product and removing it from inventory, ensuring waste is documented, disposed of, and captured in our ERP (CERES). Providing data to the Production Supervisor for the completion of daily, weekly, and monthly reporting. Ensuring work area remains clean and orderly at all times; trash and cardboard is to be removed daily. Maintaining all applicable food safety, sanitation, and operational standards as established by Health Department, Feeding America and St. Mary’s Food Bank Alliance. Must have experience putting away pallets in flow racks and pushback racks at multiple height levels. High School Diploma or completed GED required. Minimum of two years successful experience working with groups. Intermediate computer skills to include Microsoft Office, Excel and warehouse management system software. Food handlers’ card or ServSafe certification a plus. Bi-lingual in English and Spanish preferred. St. Mary’s offers a generous compensation package which includes medical, dental, vision, short-term and long-term disability, 401K, PTO, employer paid life insurance, and more!